Lutosławski’s affinity with French music and literature is well-known. 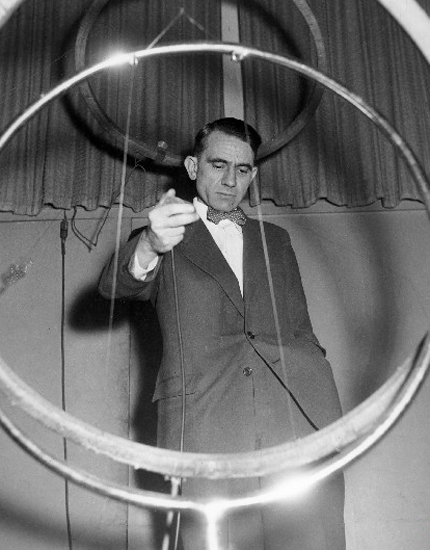 But the connection with the pioneer of musique concrète, Pierre Schaeffer, has largely slipped by unnoticed. In truth, it is not Schaeffer’s tape music as such that caught Lutosławski’s attention but his discourse on the objet sonore. Lutosławski referenced Schaeffer’s term in talks that he prepared for the Zagreb Biennale (1961) and the Tanglewood Summer School (1962), but his musing on the implications of objet sonore began earlier, in 1960, in his Notebook of Ideas (Zapiski). There is no evidence that Lutosławski had read Schaeffer’s book À la recherche d’une musique concrète (1952). Almost certainly, he came across the term objet sonore from both fellow Polish composers and Schaeffer himself. Schaeffer came to the third ‘Warsaw Autumn’ festival to introduce a programme of musique concrète (17 September 1959) that included a number of pieces, including his own Étude aux objets (1959). It is more than likely that Lutosławski attended this concert (ground-breaking in the Polish context) and met Schaeffer during his visit. Just over a year later, on 21 September 1960, the fourth ‘Warsaw Autumn’ presented a lecture by Józef Patkowski, the head of the Experimental Studio at Polish Radio. During his talk, Patkowski referred to Schaeffer and played Étude aux objets again. Was it pure coincidence that just two days later Lutosławski made the first of two entries in his Notebook that elaborated on the idea of the objet sonore as it related to his own thinking? Four weeks later, on 19 October, he returned to this theme. Although Lutosławski subsequently stressed the prominence of chance procedures in his musical development in the early 1960s, he did not make any entries in his Notebook on alea and aleatorism for another year (the first appears on 20 December 1961). In other words, it was Schaeffer’s visit in 1959 and the idea of the objet sonore that first drew his attention. It was six months later that Lutosławski heard Patkowski introduce a recording of John Cage’s Concert for Piano and Orchestra in his ‘Musical Horizons’ programme on Polish Radio (16 March 1960) – the event which Lutosławski subsequently credited as being the critical juncture in his compositional thinking. Yet we must no overlook Schaeffer in these developments. In combination, both Schaeffer and Cage gave Lutosławski conceptual support just at the moment when Jeux vénitiens (1960-61) was being conceived. It seems that rhythm (in the broadest sense, as a division of time in which the action of a musical work takes place) is the hardest element of musical material to destroy. The idea of the ‘eternity’ of this element is tempting. Instead of ‘melody, ‘harmony’, there appears a new element (perhaps not entirely new in its essence, but new in application) – objet sonore – the sound object. Wydaje się, że rytmika (w najszerszym pojęciu – jako podział czasu, w którym rozgrywa się akcja utworu muzycznego) jest najtrudniejszym do zniszczenia elementem tworzywa muzycznego. Kusi myśl o “wieczności” tego elementu. Na miejsce “melodyki”, “harmoniki”, zjawia się nowy element (być może niezupełnie nowy w swej istocie, ale nowe w zastosowaniu) – objet sonore – przedmiot dźwiękowy. Object = a collection of sounds, between which there is a closer connection than between each of these s[ou]nds and sounds belonging to another object. This closer connection ensures, above all, connectivity in time. But it can also be similarity of timbre, rhythm, attack, harm[onic] profile, choice of intervals etc..
2) general rhythm, ‘large’ – i.e., the rhythm of a sequence of objects. Przedmiot = zbior dźwięków, między którymi istnieje ściślejszy związek niż między każdym z tych dźw., a dźwiękami należącymi do innego przedmiotu. Ten ściślejszy związek zapewnia przede wszystkim łączność w czasie. Ale również może to być podobieństwo barwy, rytmiki, ataku, profilu harm., doboru interwali itd. 2) rytm ogólny, “duży” – czyli rytm następstwa przedmiotów.